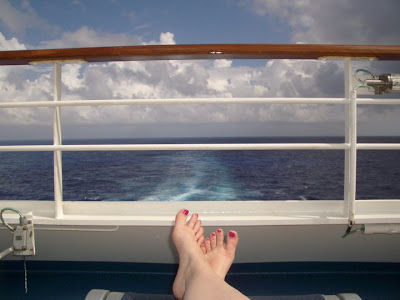 Of all that is unholy in prep-for-vacation planning, I somehow went away on the cruise without getting a manicure and pedicure. Side note: Men readers (hello! I heart you! ), I know you claim you don't notice such things, but honestly, I KNOW you notice when a gal has either really pretty looking hands and feet, or really sad looking hands and feet. So just entertain me on this. I am so ashamed. I will never again fail to book in such an appointment before a social gathering. So this week, ready to jump into Fall with every part of my fashion being, I sat down and gave myself a mani/pedi. I would have loved to have gone to the salon to get it professionally done, of course, but I am choosing to allot that $40 to something much more worthy this week (what? I think food and beverages out on the town are much more deserving). So I ended up with this super hot polish job -- gun-metal gray! So as a result, I will be keeping an eye out to buy these replacements very, very soon, because gray is back again as a definite hit of a nail color for the fall and winter. Forget the safe reds and purples. Be daring and go gray! Ohhh this makes me want to redo my nails... 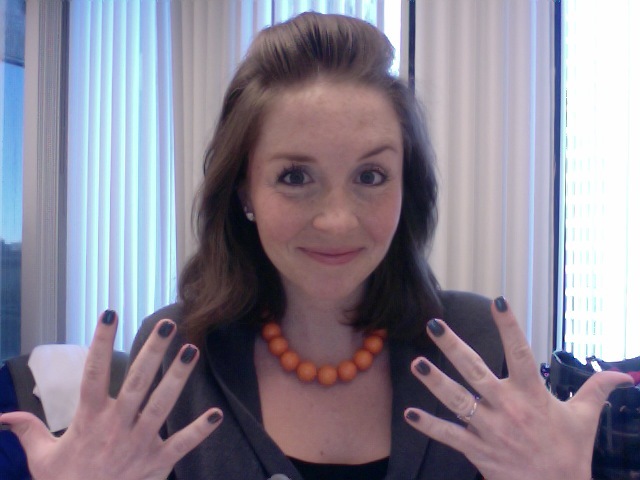 I just did them in Essie's Wicked, but I have a gunmetal gray that I haven't worn since last Fall. Nice Snooki pouf, by the way. So GTL. Lauren - nail polish has def been the post du jour this month! :) That Wicked color is fab - I love finding new colors to use!